Meudon, built for William Dameron Guthrie in 1900 by Charles P.H. 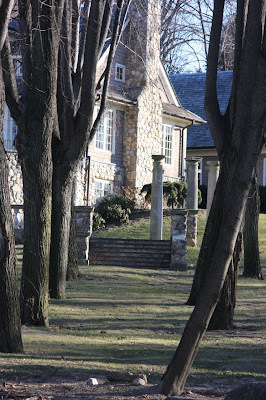 Gilbert in Lattingtown, was an enormous stone residence of the French Classical Revival style. 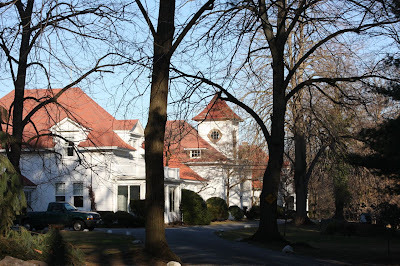 Guthrie along with his neighbor John Edward Aldred purchased half of the town of Lattingtown only to raze it to the ground so the two of them could each build their estates with unobstructed views and beaches on the Long Island Sound. 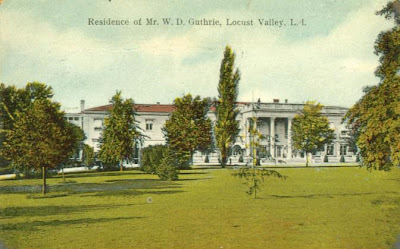 The house was demolished in the 1960s. Click HERE to see Meudon on google earth. All that remains of the house is this exterior wall and a retaining wall. It's buried in the woods up a hill. Numerous more recent houses now occupy what would have been the grounds and gardens of Meudon. 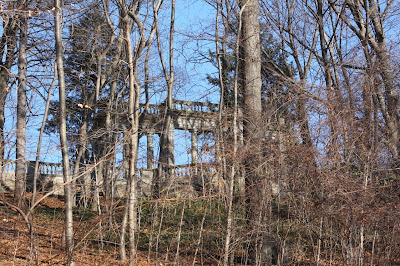 There are a few tantalizing ruins that do still dot the properties however. 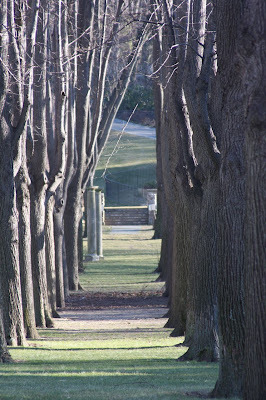 Below are two sets of original columns and staircases at the end of two long allee's of trees. 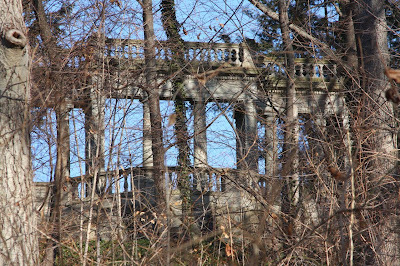 This reflecting pool and columns would have sat in the middle of the two allee's of trees. Meudon was a self sustaining property. 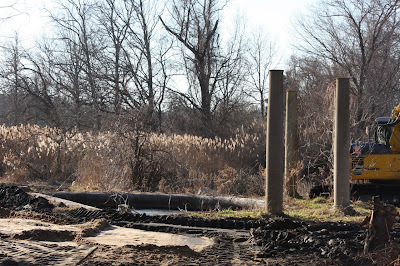 Below is part of what were numerous outbuildings. Those trees a beautiful, they will chop them down too I am sure. I won a blogging award, so excited. Have a great day and find more gorgeous Homes. Such Fun. Love this site....what an era!